It’s not too late to get those Christmas packages delivered before Christmas. We offer overnight next day or two day shipping with FedEx and UPS. Two day options need to be shipped by December 20th and Next Day options need to ship by December 21st. Bring in those gifts ready to go or we can package it for you and let us make your holiday shipping easy. UPS and FEDEX ground are a good option to locations within the eastern United States. Further locations will need to upgrade to air shipping in order to be there in time for Christmas. Premium shipping options are also available, and those presents can be sent between December 18 and December 21, depending on the service.Get your shipments to your loved ones by Christmas! Call to check out the holiday service schedule and last days to ship. Then, stop by our store to have all your holiday shipping needs taken care of. Pak Mail Mount Pleasant is the place in Charleston to handle all of your last minute shipping. We have all of the options with FedEx, UPS,USPS and DHL to make sure your holiday presents arrive on time. Whether its overnight,two day or three day shipping we can help guide you through the process and make sure you pick the right option for Christmas shipping success! Come in today and let us help you. We’re all busy during the holidays. In the rush of buying presents and making your family’s plans, it’s not hard to make some mistakes that can cause issues with your Christmas shipping. Here at Pak Mail, this is our 30th Christmas this year! We know how to get your shipping done right and we know the issues that must be avoided to get gifts to their destination on time. Here’s a few tips to help you avoid shipping delays and mishaps. • Check your recipient’s address before shipping. If you’re sending to an apartment, see if they have a doorman to receive packages. Carriers may not leave packages at certain apartments, so you may want to send to their business address or we can help arrange pickup at a carrier location close to their address. • Make sure boxes are taped well and labels are secure. Scotch tape will not hold up during transit. • Use a private carrier like FedEx, UPS or DHL to insure you have a reliable tracking number. • Use Pak Mail to receive automatic email tracking updates and keep a close eye on your gifts during transit. • Weather delays happen, shipping ahead of time can assure packages arrive before Christmas. Most of the time packages arrive without any issues, when you do encounter a problem it’s important to get it fixed as soon as possible to insure your Christmas gifts are on time. FedEx and UPS will give you a chance to correct addresses and add apartment numbers over the phone. They could also arrange pickup at one of the local offices close to your recipient’s address.With the postal service you may have to attempt to intercept the package and have it picked up at the post office. Many times it will be immediately processed for return to sender which may take a week or more. Pak Mail Mount Pleasant keeps a close eye on all of your packages we ship and we’re happy to help our customers avoid delivery issues as well as fix them. Some things you should do to assure a smooth and timely delivery. Verify your recipient’s address and have their phone number on the label. Sign up for Pak Mail’s email tracking updates to stay up to date on your packages delivery status. Use a private carrier like FedEx or UPS to assure you have the best up to date tracking. If your recipient lives in an apartment try sending to their business address or ask us about forwarding your package to a carrier office closest to your recipient. Whether it’s a new laptop or an old glass Christmas ornament, Pak Mail is happy to help you pack your fragile and valuable Christmas presents. Higher volume on delivery trucks means more weight and rougher rides for gifts during the holidays. If you have fragile items to ship let us help you and feel content knowing your loved ones gifts were packed and shipped by professionals. If you’d prefer to pack your items before bringing them in for shipping here’s a few tips. 1. Make sure there’s plenty of space for packing material when picking a box. Fragile items should have a minimum of two inches on each side and may require more if they’re made of glass or ceramic. Most breakables should be double boxed, the idea is to pack well enough for a six foot drop from the back of a carrier’s truck. 2. Use sturdy boxes. It’s good to recycle those old Amazon boxes but if they’re in poor condition it could mean trouble during transit. Pak Mail has a wide range of high quality corrugated boxes to choose from. 3. Shipping with FedEx or UPS can mean a faster transit time and less handling. 4. Fragile stickers do not replace good packing! 5. Use good packing tape to seal up boxes and labels. Scotch or duct tape won’t cut it! About 26 million Americans or roughly eight percent of the population has had a package stolen from their porch, it’s important to take the proper steps to make sure your Christmas gifts are safe and you are protected. When you ship your Christmas presents try to make sure your recipient will be home on the day your packages are estimated to arrive. If your recipient lives in an apartment complex, ask if they have a doorman that receives packages. FedEx and UPS will often collect a signature from the doorman or someone at the apartment office upon delivery. Sending packages to a business address is one of the easiest ways to assure your packages are handed to someone at the delivery address and not left outside. Not only will you receive a free signature on commercial deliveries, many times you will get a small discount on your shipping. Pak Mail offers insurance, email tracking updates and options for getting packages picked up at carrier office locations close to your recipient’s address to help our customers assure smooth delivery.Come in with your Christmas presents and let us help you make your holiday shipping easier than your holiday shopping! If you want to take advantage of lower standard shipping rates, FedEx recommends sending Christmas gifts before December 13 for its FedEx ground service. For the U.S. Postal Service’s basic ground shipping option, gifts should be sent by December 11, while UPS promises to deliver your packages on time as long as you send by December 13. Premium shipping options are also available, and those presents can be sent between December 18 and December 21, depending on the service. With the holidays quickly approaching it’s important to plan for the issues carriers like FedEx, UPS and USPS may encounter this time of year. A large increase in packages mixed with some winter weather delays can cause headaches. Luckily here at Pak Mail we keep an eye out and we’re here to help guide our customers through the process and make sure their presents arrive in time for Christmas morning. Before you come in to ship your gifts there’s a few things you can do to help make sure they arrive on time as well. • If you’re shipping to areas that get poor winter weather, ship a few days ahead of time. • Check with the recipient to make sure their address is correct. • Use a carrier like FedEx or UPS to speed up deliveries and keep better track of where your gifts are. If you encounter shipping issues they’re much easier to fix with a private carrier. • Carriers may not leave packages at certain apartments, see if the recipient has a door man that will receive packages or if they have a business address you could ship to instead. We can also help get them delivered to a carrier office close to your recipient’s address for them to be picked up. • If you don’t have time to pack your gifts just bring them in and we’ll be happy to help you! 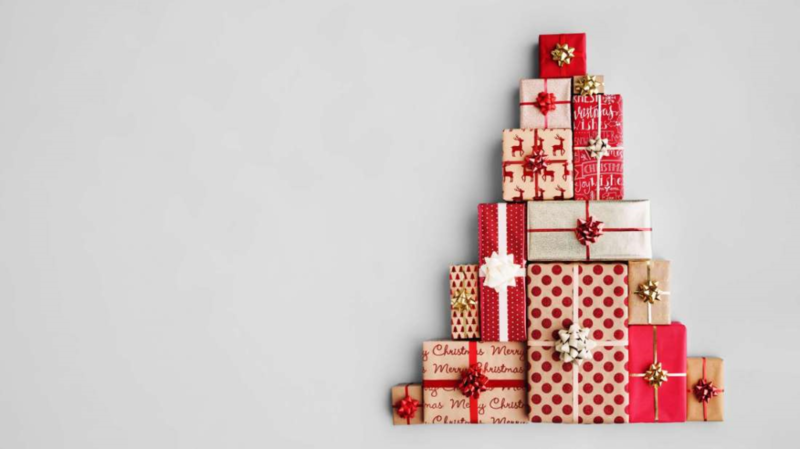 Be sure to get those gifts off as soon as you can because as it gets to the last week or so before Christmas transit times can be slower due to unusually high volume. Allow 7 business days for ground shipments during that time. Be sure everything is packed well and taped on the top as well as the bottom side of the box using only packing tape. If you like, we can pack it if its breakable/ fragile, art work, glass, electronics, etc. Most importantly, be sure you are shipping to the correct most current address. We can advise you on the best method of shipping from UPS or FEDEX ground, air shipping, overnight, international or other. Also we will have extended hours on Saturday as we get closer to the big day. Have a great holiday season and we’ll be here to help you out.